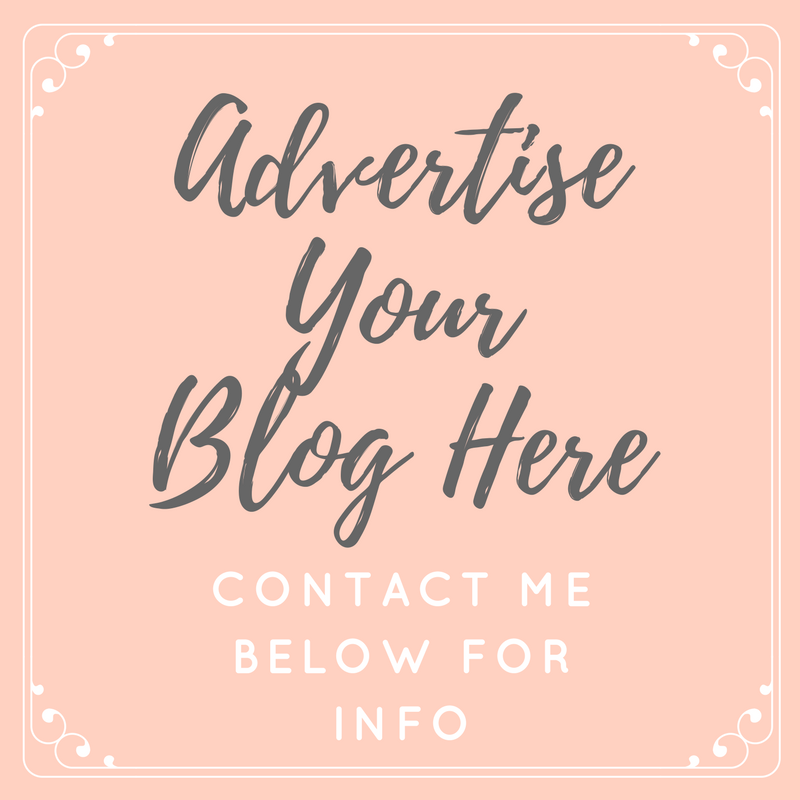 Since turning the grand old age of 30 (seriously, it's not that bad really) I've made a few conscious changes to my lifestyle... I'm cutting back on the chocolate, I'm working out daily and most recently I've been trying to include some herbal and detox tea's into my diet to see if they have positive effect on how I feel. Simply fill in a quick online questionnaire about your health goals, height, weight, flavours you like and dislike and any allergies and let Teagime do the rest. They will then blend you three tea's; one for morning, afternoon and evening based on the information given. Based on my health goals of shedding the pounds, wanting an increase in energy, and a goal for radiant and younger looking skin I was given Lemon Balm, Nettle & Blueberry tea for my morning drink... An energising and stress fighting combination to keep me at my best all day. 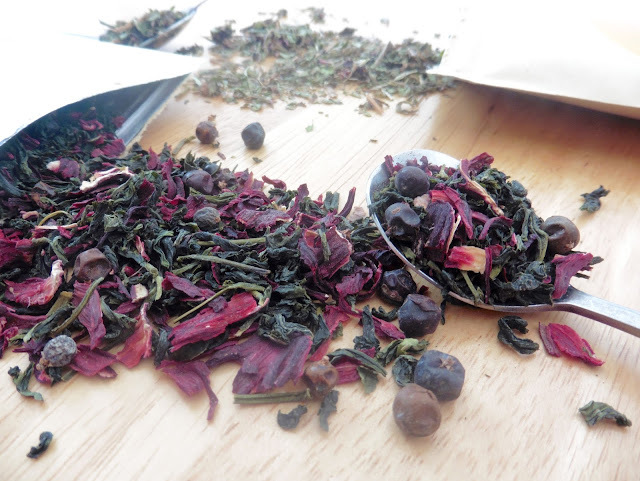 My afternoon blend is made up of Juniper Berries, Hibiscus and Pouchong Tea which will help to settle the stomach, boost circulation and reduce abdominal fat. Lastly my evening tea includes Honeybush, Bilberry and Lemon Balm to help prevent digestive disorders and reduce stress therefore help with better sleep. 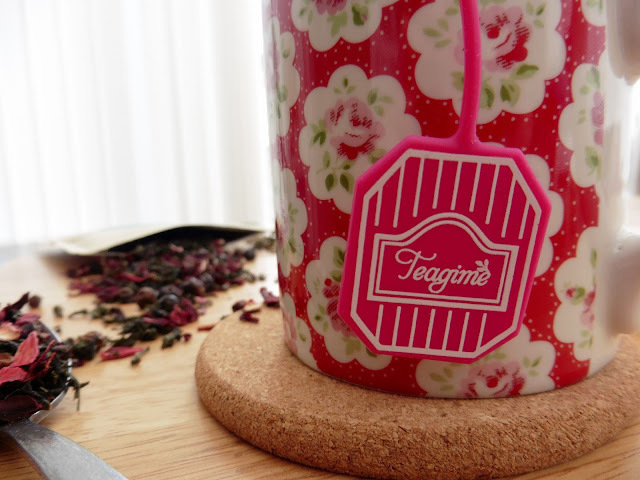 The tea arrives in sleek packaging (so don't worry if you're not going to be home it will fit through the letterbox!) 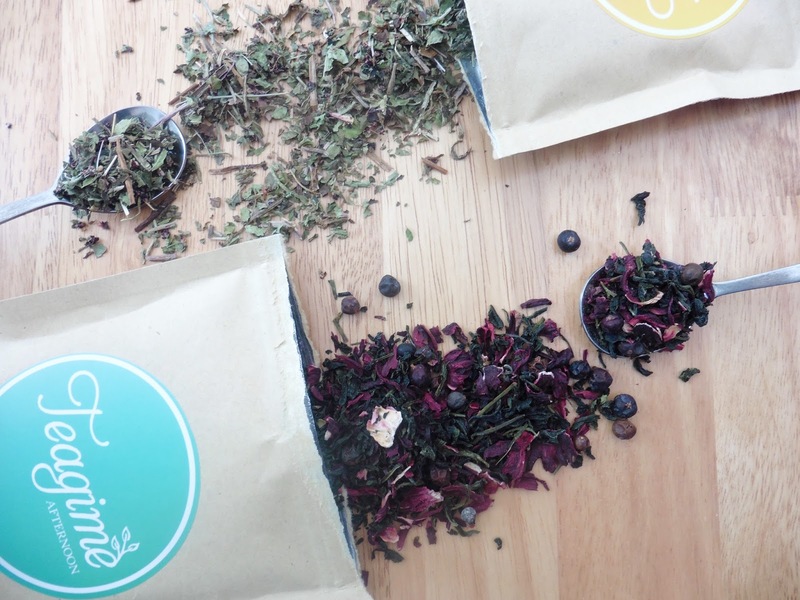 with three packs of tea, plus two reusable diffusers, a personalised information card telling you about the ingredients and benefits for each of your blends and an information booklet. 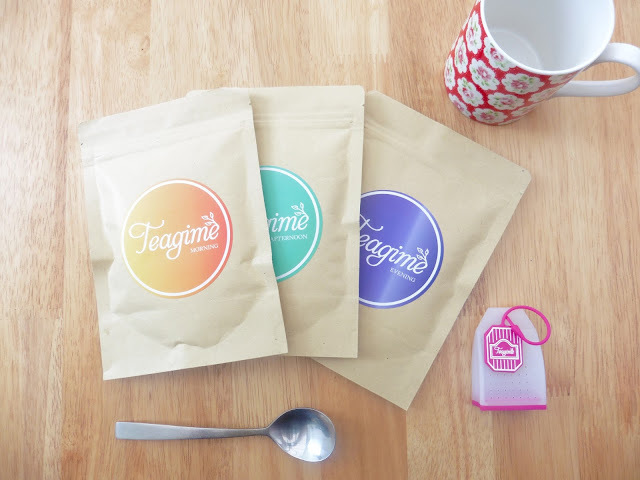 Teagime works like a subscription box, and your tea will automatically be delivered to your door every two weeks. 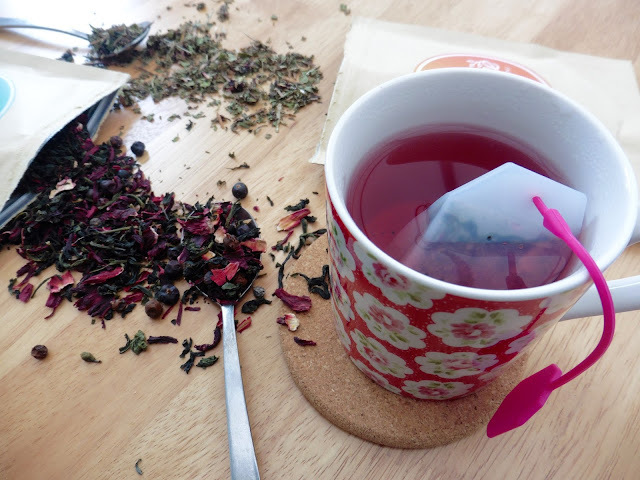 I found it quite easy to get myself into a routine with the drinks, replacing my morning cuppa with my new blend, which in all honesty was the one I was most worried about drinking because of the nettle... The lemon and blueberry overtook this though and the tea tastes quite fruity with a little bit of a herbal aftertaste, which works to be quite awakening and refreshing on a morning. All of the morning blends are designed to boost metabolism and increase energy levels, which is just what I need, and since drinking this, I have noticed myself feeling fresher, even on the days I have a really early start. The afternoon blend is usually consumed after or with my dinner and is my favourite of the three, not only because it is pink! I had never tried juniper berries before, but they taste very similar to blackcurrants in the tea, quite sweet and really delicious. Although the afternoon teas aim to help combat sugar cravings, it hasn't stopped my biscuit addiction but they also work to aid digestion and keep everything running as it should. Lastly, the evening blend is sometimes the most enjoyable... Who doesn't love a warm drink in bed?! 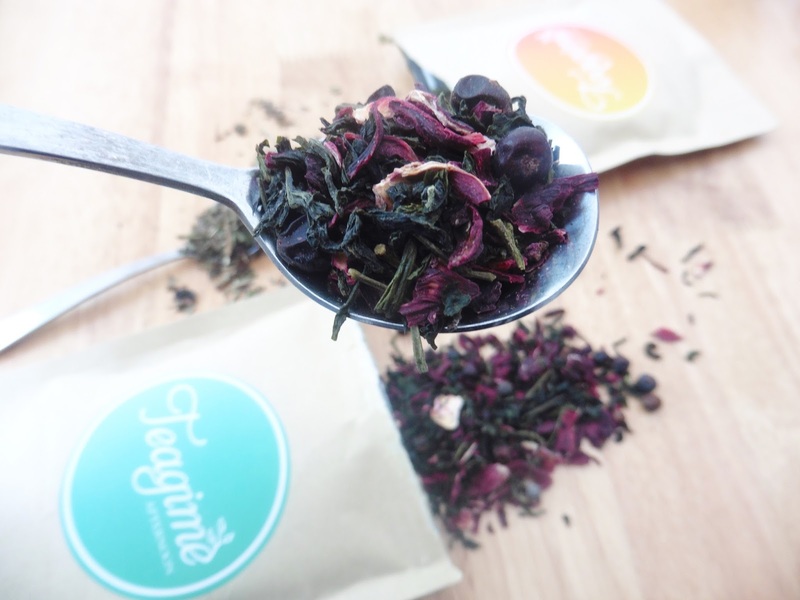 Mine is another fruity tasting blend but the honeybush calms it all down, while keeping it sweet, which helps me resist my evening cup of tea with two sugars. Designed to settle the stomach and detox your system while you sleep, I'm not too sure how I can judge this one, but I know it chills me out and leaves me feeling relaxed and ready for a good sleep each night. After two weeks of drinking these teas most days (I'd be lying if I said I hadn't forgotten a couple of times!) I have to say I'm really enjoying them, and I'm definitely feeling much more energised each morning and throughout the day. My skin also appears to be clearing up slightly which could also be down to some of the ingredients in my blends. 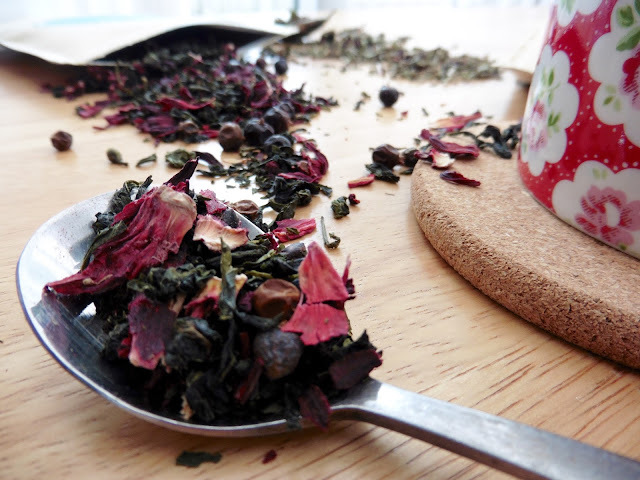 It feels like a bit of a lifestyle choice to be taking on a teatox, but it's a good change to make, and such an easy one to implement into my routine. There's no hassle, it's all done for you and they tastes so good. A two week serving of blends costs £29.99, which when compared to other brands, is really affordable. Especially when you know each blend is tailored to your needs and personal tastes... No one else will be drinking the same, which is exactly how it should be as no one else has the same body as you. 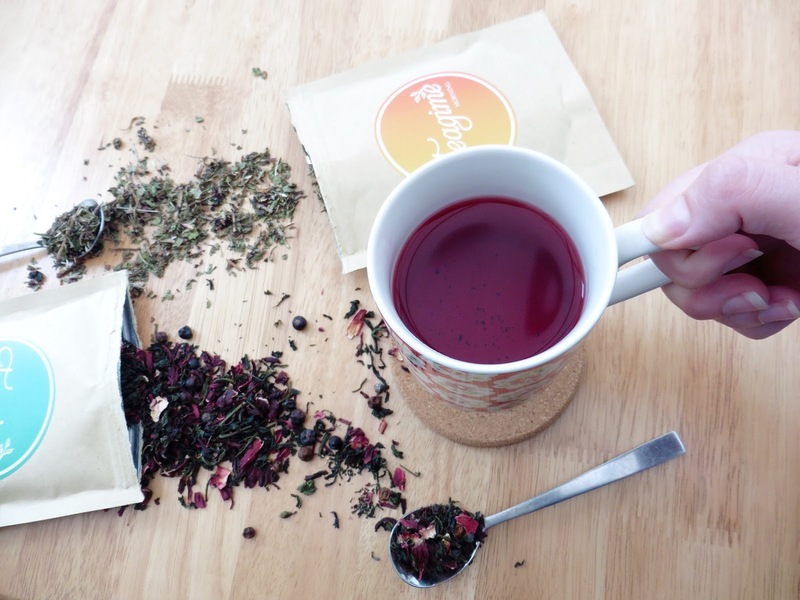 If you're unsure, give it a try... Teagime promise 100% satisfaction and if you're not happy after 21 days you can send the tea back and receive a replacement or refund. 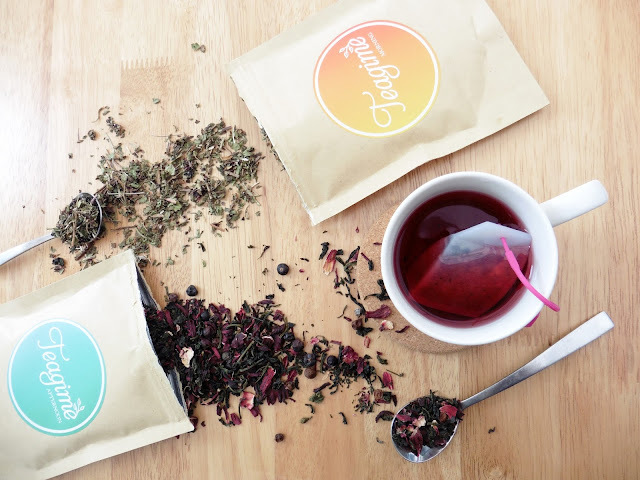 Will you be giving a personalised teatox a try?